Sorry this Co-Op did not reach its funding goal by the time it expired. 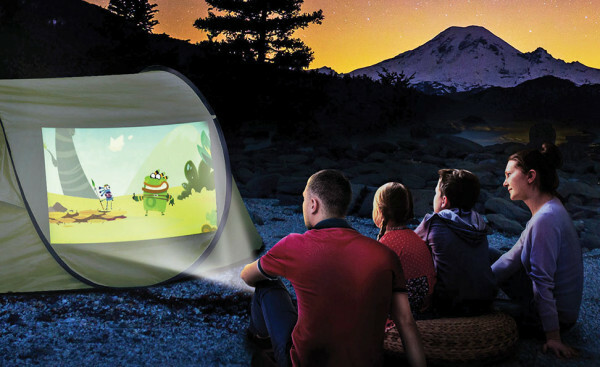 We are excited to present our second Co-Op to you to finance our holiday inventory for our CINEMOOD Portable Movie Theater, which has been selling increasingly faster and has reached a point where we can scale faster by bringing in additional funds. The objective of this Co-Op is to pursue growing our wholesale market and to utilize Kickfurther as a long-term solution as we grow. Our projectors are produced in China with the same manufacturer that we have used for years and stored in our self-managed warehouse in California. Because the inventory we are financing on this first Co-Op is already in our warehouse, you are not subject to any production risk (we've never had any issues with our supply chain, but peace of mind can't hurt)! Our projections are conservative for this holiday season, and we plan to complete our Co-Op on time or early. We are confident in these projections because we have already sold through these channels historically and we are confident demand will stay level or increase while we continue to pursue new wholesale channels. Completed early, and good communication along the way. Paid back one month early! Thank you Cinemood! Excellent! Paid back in full, early, with good communication. well executed co-op with frequent updates! excellent communication, please come back soon! How would you rate CINEMOOD Trendsetters Co.?